•Temperature range -40°F to 572°F / -40°C to 300°C. •1.5mm FDA recommended step down probe tip. •Stabilized reading in 5 seconds or less. •+/- 2°F(1°C) 14° to 212°F(-10° to 100°C); +/- 3.6°F(2°C) balance of range. 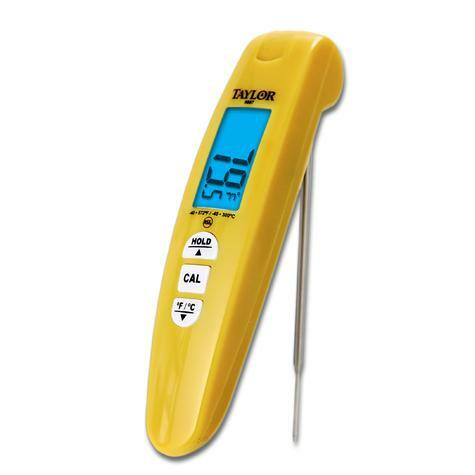 •4" stainless steel probe folds into thermometer casing for storage. •Hold and auto off features. •Operates on 2 AAA batteries (included).